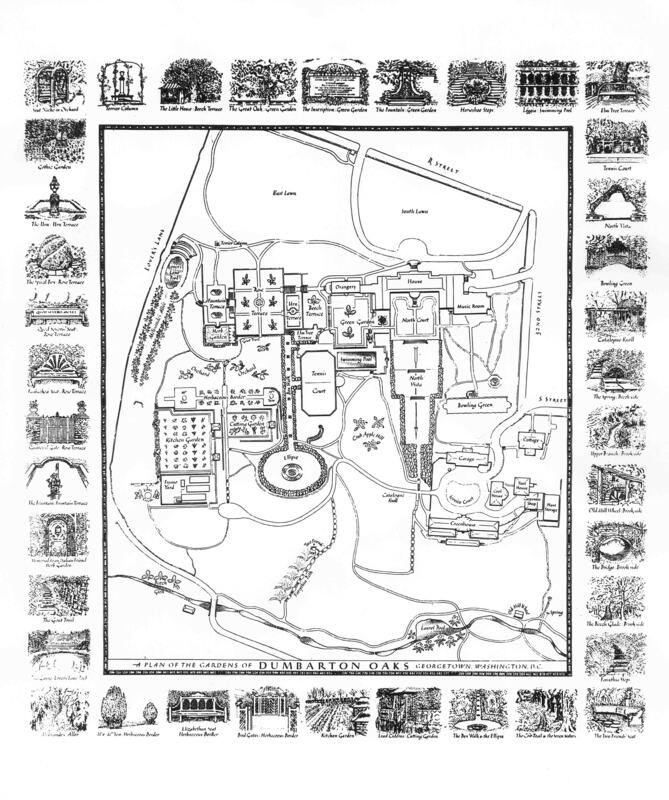 You are here:Home/Research/ Library & Archives/ Dumbarton Oaks Archives/ Doaks Archives_IMG/ From the Archives Images/ Rudolph Ruzicka plan and vignettes of the Gardens of Dumbarton Oaks, 1935. Dumbarton Oaks Archives, AR.AP.GG.SP.015. Rudolph Ruzicka plan and vignettes of the Gardens of Dumbarton Oaks, 1935. Dumbarton Oaks Archives, AR.AP.GG.SP.015.